"The Lord is kind and merciful." (Cf Psalm 103: 8). On the 3rd Sunday of Lent 2019, we chant that the Lord is kind and merciful. Why do we need to remember this important truth? Because our love for God is in direct proportion to our awareness of God's love for us. In other words, the more you know of God's mercies and kindnesses to you, the more you love Him. God made us to know Him, to love Him and to serve Him so that we can enjoy eternal life with Him forever. It is therefore very important to remember all the time that the Lord is kind and merciful to you. When you want to remember key facts like doctor's appointment, birth days, court dates, interview dates etc, what do you do? You write it down and place the note where you can see it easily and often. You do exactly the same with sacred facts like our key Scripture for today. Do you have important landmarks in your life? All those key events where you have experienced God's kindness and mercies. Scripture instructs us never to forget our landmarks. (Proverbs 22: 28). Now organize your landmarks into Timeline and “Write down the special dream [landmarks] on stone so that one may read it in a hurry." (Cf. Habakkuk 2: 2). Do this and you will never forget that the Lord is kind and merciful. Repent, says the Lord, for the kingdom of heaven is close at hand. Glory to you, O Christ, you are the Word of God!" (Cf. Matthew 4: 17). "Coming to his senses he [the Prodigal] thought, ‘How many of my father’s hired workers have more than enough food to eat, but here am I, dying from hunger." (Luke 15: 17). "I shall get up and go to my father and I shall say to him, “Father, I have sinned against heaven and against you. I no longer deserve to be called your son; treat me as you would treat one of your hired workers." (Luke 15: 18 - 19). 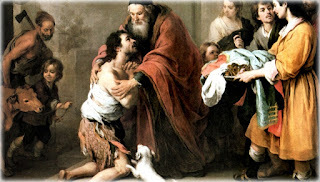 We all want to be in the same place as the prodigal son at the end of Lent 2019. Glory and praise to you, O Christ!" (Cf. Luke 15: 18). "The stone that the builders rejected has become the cornerstone; by the Lord has this been done, and it is wonderful in our eyes"? (Matthew 21: 42). On Friday in the second week of Lent, Jesus gave us the Parable of the Wicked Tenants and God's Terrible Mistake. In the story, the landlord (God) sent his servants to collect rent. The wicked tenants quickly assaulted and killed some of the messengers. The landlord sent more servants to collect the money due to him. Not surprisingly the wicked tenants did not waste time in killing all. The landlord who had no one else to send decided to send his only son and heir. "They will respect my son", he thought. Anybody following this drama would predict the outcome and call the decision foolish and terrible. "My thoughts are not your thoughts, nor are your ways my ways—oracle of the Lord. For as the heavens are higher than the earth, so are my ways higher than your ways, my thoughts higher than your thoughts." (Isaiah 55: 8 - 9). as expiation for our sins." (1 John 4: 10). Praise and honour to you, Lord Jesus!" (John 3:16). 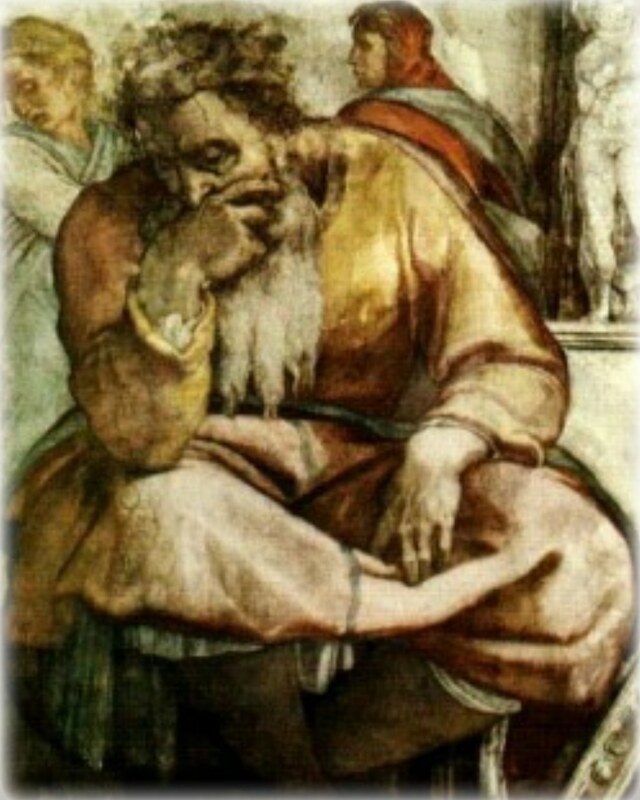 "The people of Judah and the citizens of Jerusalem said "Come,” they said, “let us devise a plot against Jeremiah, for instruction will not perish from the priests, nor counsel from the wise, nor the word from the prophets. Come, let us destroy him by his own tongue. Let us pay careful attention to his every word.” (Jeremiah 18: 18). On Wednesday of the second week of Lent, I listened hard to the Beloved Son and heard the cry of the Prophet Jeremiah. A Prophet has nothing but words. The word of God. This is his merchandise. He must speak God's word to the people, season out of season. A Prophet must find his comfort and sustenance from the word of God. Do you find in you a stirring of the gift of prophecy? "I have told you these things, so that in me you may have peace. In this world you will have trouble. But take heart! I have overcome the world." (John 16: 33), says the Lord. "Glory to you, O Christ, you are the Word of God! Your words are spirit, Lord, and they are life; you have the message of eternal life. Glory to you, O Christ, you are the Word of God!" (Cf. John 6 :63,68). Solemnity of St Joseph, Spouse of the Blessed Virgin Mary. “Joseph, son of David, do not be afraid to take Mary your wife into your home. For it is through the holy Spirit that this child has been conceived in her." (Matthew 1: 20). 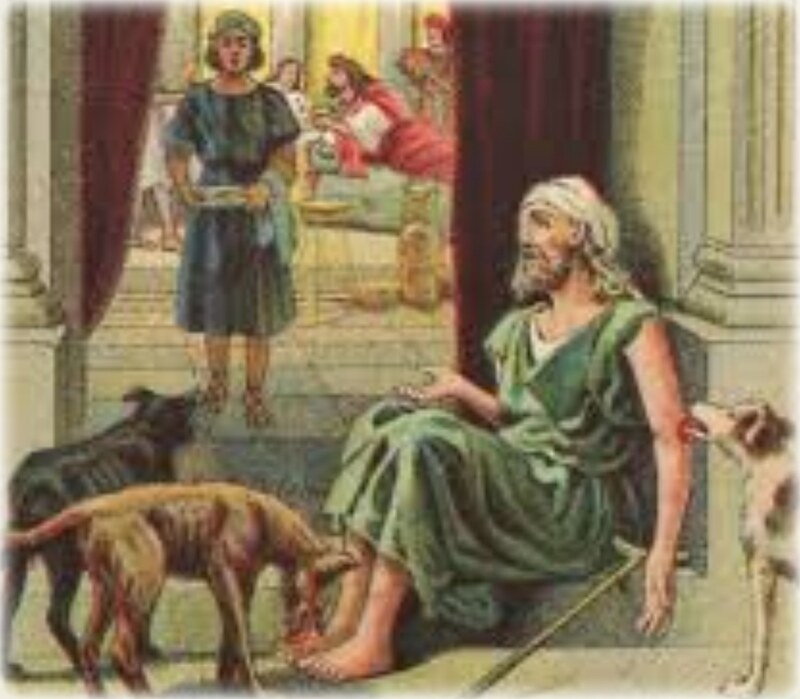 Joseph listened to the word of God and believed what he heard and obeyed. Today is the Solemnity of St Joseph, Spouse of the Blessed Virgin Mary. 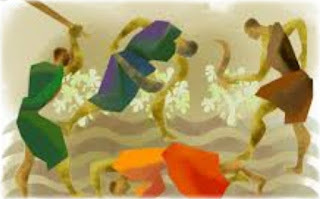 This is a feast in Lent which means no fasting and abstinence on this day. Who is St Joseph? 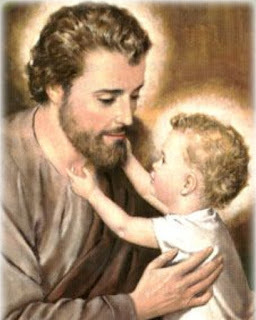 "St Joseph is considered the second greatest saint, next to the Blessed Virgin Mary, because of his humility and the closeness he had to Jesus as his foster father. 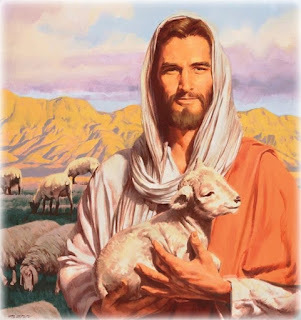 Scripture tells us that Joseph was just, pure, gentle, prudent and unfailingly obedient to the divine will." (Roman Missal). St Joseph is widely known as patron saint of workers and of happy death. "Glory and praise to you, O Christ. They are happy who dwell in your house, O Lord, for ever singing your praise. Glory and praise to you, O Christ." (Psalm 83: 5). "Be merciful, as your Father is merciful, says the Lord." (Luke 6: 36). Yesterday, at the Mountain of Transfiguration, we heard Abba Father say: “This is my chosen Son; listen to him.” (Luke 9: 35). Today, we listened to Jesus and heard Him say to us: "Be merciful, as your Father is merciful." (Luke 6: 36). God has many attributes: goodness, kindness, love, faithfulness, long-suffering or patience, almighty, all-knowing, etc. 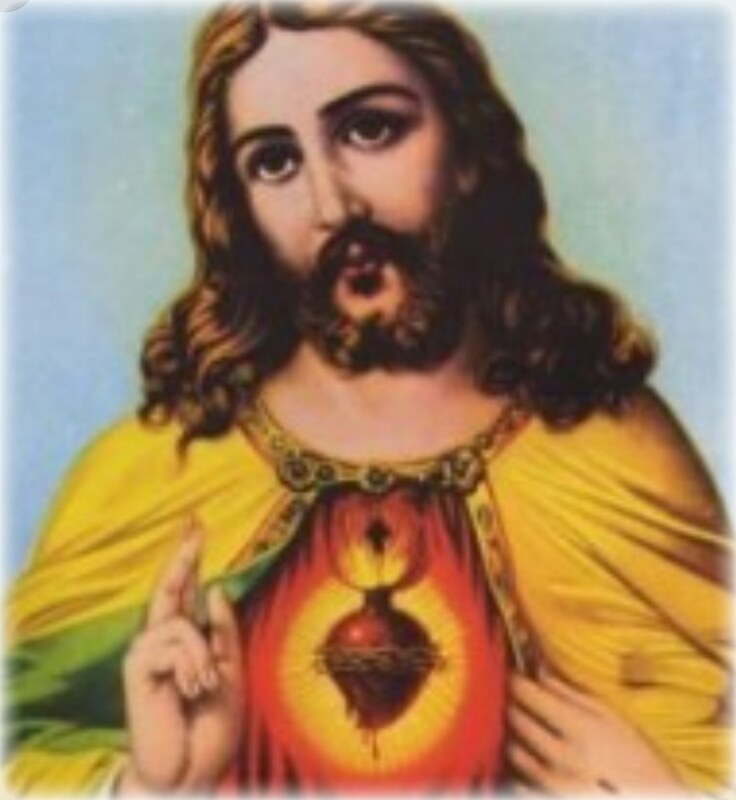 The one attribute that is key to the heart of God is mercy. Jesus Christ is the Face of the mercy of God. Jesus Christ became man so that man already created in the image of God will become god. What if we refuse to show mercy? Jesus says: "Give and gifts will be given to you; a good measure, packed together, shaken down, and overflowing, will be poured into your lap. For the measure with which you measure will in return be measured out to you.” (Luke 6: 38). The ABC of Mercy can help us to practice mercy. The seed is the word of God, Christ the sower; whoever finds this seed will remain for ever. Praise and honour to you, Lord Jesus!" (Gospel Acclamation).